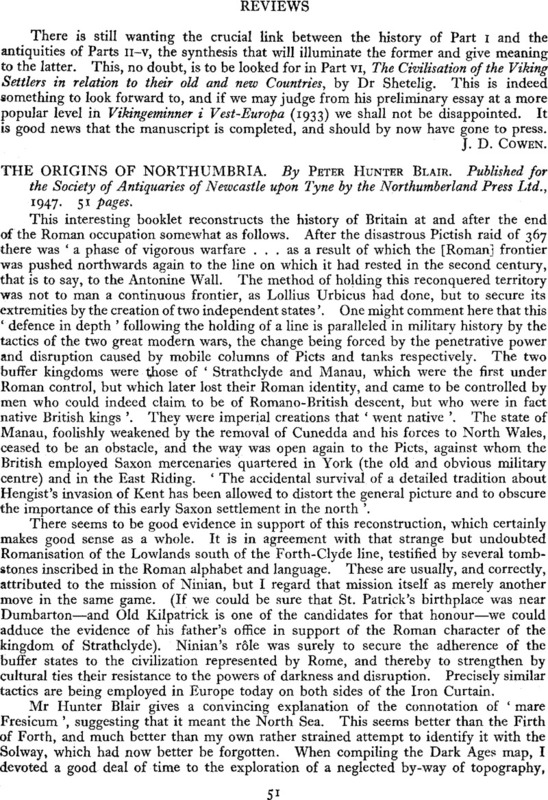 THE ORIGINS OF NORTHUMBRIA. By Peter Hunter Blair. Published for the Society of Antiquaries of Newcastle upon Tyne by the Northumberland Press Ltd., 1947. 51 Pages.